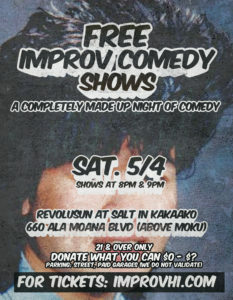 Improv and Sketch Comedy in Honolulu, Hawaii and beyond! 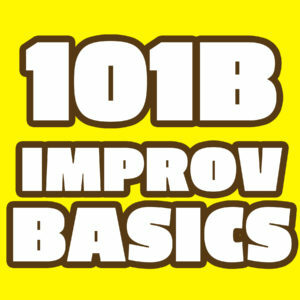 improvhi keeps you up to date on improv and sketch comedy here in Honolulu, Hawaii and beyond! We have A LOT of improv love to share and we want you to find it all! Got an improv or sketch comedy show happening in town? Message us and we’ll get it up on our improv and sketch comedy community calendar!